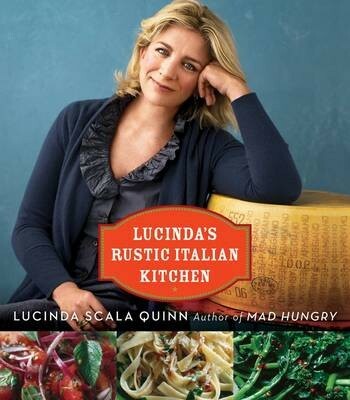 Lucinda Scala Quinn, author of Lucinda's Rustic Italian Kitchen and long-time executive food editor for Martha Stewart Living Omnimedia, has been a frequent guest on Martha, co-host of PBS's Everyday Food, and host of her own Martha Stewart-produced TV show on the Hallmark Channel, Mad Hungry. The down-to-earth, home- style Italian recipes in this cookbook are the kind of food she grew up on, making this book a favourite of hers. Now available in paperback for the first time, the book has stunning photographs by acclaimed photographer Quentin Bacon along with mouth-watering recipes, like Gnocchi with Pesto, Bucatini Puttanesca, and Linguine with Clams, which readers are sure to visit again and again when making Italian classics at home.